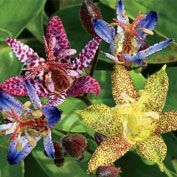 Deluxe Toad Lily Mix | Gurney's Seed & Nursery Co.
Delicate Mix of Purples, Whites and Yellows! Popular in cut-flower arrangements, rock gardens, borders and naturalized gardens, toad lilies produce clusters of gorgeous orchidlike blooms in late summer until fall. Easy-to-grow plants have a long flowering period and come in amazing forms and colors. Available in delightful shades of purple-blue, white with purple spots and pale yellow with purple-red spots. Zones 5-8. 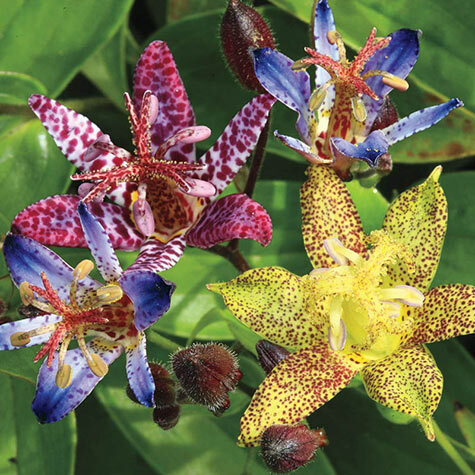 Botanical Name: Tricyrtis 'Dark Beauty', 'Blue Wonder', 'Latifolia'. 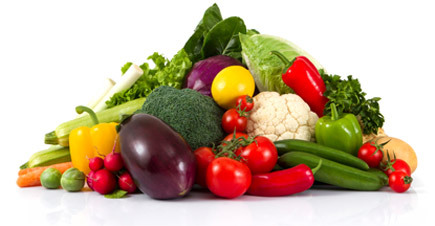 Light Required: Not fussy about light conditions (sun, partial shade and shade: no problem ). Color: Mix of Purple-blue, white with purple spots, pale yellow with purple-red spots. Foliage: Dark green and slightly waxy foliage. Blooms: Late Summer to early Fall. Zone: 5 - 8 (-10 degrees F). Flower Form: A couple flowers per stem. Orchid-like florets. Comments: Toad lily mixture with 3 varieties: Blue Wonder, unique star-shaped purple-blue flowers, very spotted. Dark Beauty; purple spots on flowers on a white background. Latifolia; pale yellow with purple-red spots. Beautiful orchid like florets. 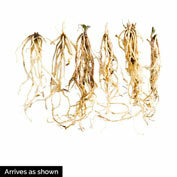 Very useful in the garden, where they will bloom in late Summer until Fall. Plant them in the border, wild garden or rock garden. They give a special effect when grown between low growing plants. Easy to grow.